Since the year of 1913, Macedonia was divided on four parts, of which 6,798 sq km given to Bulgaria. 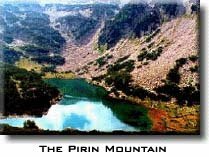 That was the region of eastern Macedonia, today known as Pirin Macedonia. The Bulgarian government hasn't done any colonization problems but there still was violation of their human rights. The Macedonian language was forbidden by the authorities. The Bulgarians have started a propaganda against the Macedonian nation. They claimed that the Macedonians, are nothing else than pure Bulgarians. The form of the Macedonian surname -vski was sent out of use, because the Bulgarians wanted all of this population to have like them that ends on -ov, which was again typically Macedonian. If anyone haven't respected this rules, he would been killed immediately. In Pirin Macedonia, there was in 1919 a compact Macedonian population of 250,000. Official Bulgarian policy and statistics following the second world war showed different figures in different periods concerning the number of Macedonians in the country. We may take as most objective the figures from 1956 population census when 190,000 declared them as Macedonians. Of this number, in Gorna Dzumaja (Blagoevgrad) region, which comprises 281,000 citizens, 180,000 declared them selves as Macedonians. But as the time moved on the population started to grow. 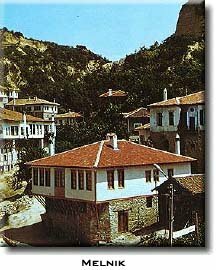 Today Macedonians lives even in the region of the Bulgarian capital, Sophia and not to mention those who live in Burgas and the region which has sea access on the Black Sea. 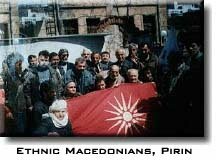 In spite of all claims by Bulgaria to European orientation and the acceptance of European democratic values, during the 1992 population census the Macedonians were not allowed to declare them as Macedonians. In a short period after 1947, the Macedonians living in Pirin Macedonia had schools in their mother language and also their own theatre. More recently, Amnesty International, the Organization for International Human Rights and Helsinki Watch have given documentary evidence about the situation there and about the violation of the individual and minority rights of the Macedonians. The authorities have been refusing the registration of the Ilinden United Macedonian Organization and the Macedonian Democratic Party, although they fulfill all the necessary conditions. Brutal police repression measures have been taken against their meetings, demonstrations and celebrations, even in monasteries. Police and judiciary repression against the leaders and activists of OMO Ilinden Pirin and other Macedonian organization is continuing. In order to prevent the celebration of anniversaries of historical events by the Macedonians in Pirin Macedonia, special police forces are used and even military maneuvers are organized at that time. For example the last one at the meeting for the anniversary of the death of Jane Sandanski, one of the leaders of IMRO who was killed by the Bulgarians during the first world war in 1915, which the Bulgarians claims as Bulgarian hero.